The violent attack against the Coptic villagers of Manshiyet Zaafarana in Minya, some 250km south of Cairo, by the village Muslims on Friday 11 January, ended with the police closing down the only church in the village. Five Coptic lawyers have filed a complaint with the Prosecutor-General against Minya Governor and Security Chief. 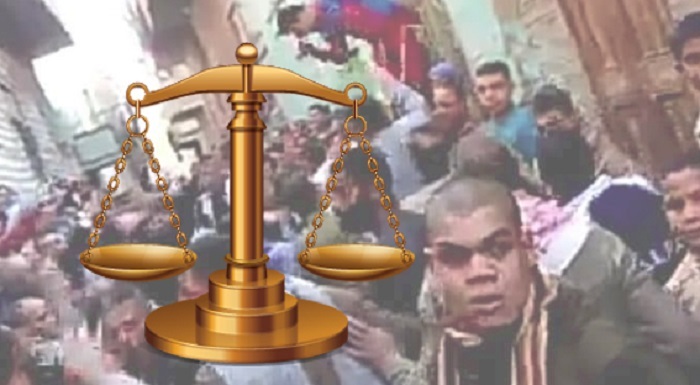 The lawyers: Nabil Azmy, Amgad Murad, Ramsis al-Naggar, Atef Nazmy, and Hany Ramsis claimed in their complaint that the Manshiyet Zaafarana incident is among those that threaten social peace and create a mental image of Copts in Egypt living under dire conditions. This plays into the hands of the enemies of the nation, the complaint said, presenting them with the opportunity to mock the President and his serious attempts to establish full citizenship rights and peaceful coexistence among the country’s Muslims and Copts. This in turn gives foreign countries the chance to interfere in Egypt’s internal affairs, an objective which the Muslim Brothers, terrorists and all enemies of the nation have attempted time and again, and failed. “From the horrendous reports and video shots of the Manshiyet Zaafarana incident, that have gone viral on social media, it is obvious that there are serious security flaws in all State apparatuses, but specifically with Minya Governor and Minya Security Chief who together are responsible for the safety of Minya citizens.” Manshiyet Zaafarana incident started on 6 January, under the eyes and noses of Minya officials and police, the complaint said. national endeavour by the President, and work to shatter stability of the nation. The complaint concluded by demanding of the Prosecutor-General to take legal action against Minya Governor and Security Chief, as well as all who took part in the Manshiyet Zaafarana attack “who are known to the police and figure clearly in the videos posted online”. The Governor and Security Chief, the complaint said, have failed to bring security to Minya, and have jeopardised the lives of Copts and deprived them of their religious rights.